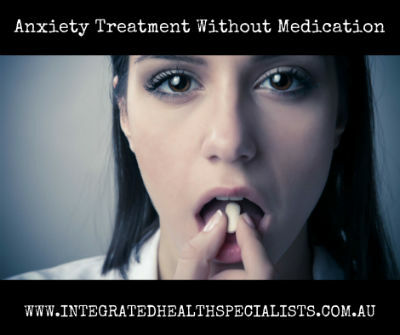 Anxiety Treatment Gold Coast | Panic Attacks & Phobias Without Medication! Looking for effective anxiety treatment without medication? Are you feeling anxious, worried and afraid? Do you suffer from panic attacks, phobias or overwhelming stress? Are you looking for an anxiety treatment without medication? How much anguish is this causing you and your loved ones? How has is affected the quality of your life? How much does it impact your ability to cope with life on a daily basis? Perhaps a doctor has told you that you have ‘anxiety disorder’ or a ‘something….phobia’, perhaps they prescribed you some drugs, maybe you’ve seen therapists, but nothing has changed – you still feel anxious, worried and afraid. Well I understand how you feel. I suffered from severe stress and anxiety for many years and nothing I did seem to change how uptight and anxious I felt for months on end, and my health was deteriorating as a result. It was not until I had a bad ‘wake up call’ one day, that I realised things really needed to change or I was in big trouble! As a result of that ‘wake up call’, I have now spent many years studying psychology and a number of other modalities, and have worked in the field for over 15 years and as such I have the knowledge, the expertise and the true desire to help you! We’ve developed a life-changing program that has helped hundreds of people completely eliminate their anxiety, phobias and panic attacks without medication, and have empowered them with the tools to effectively manage it, should it ever arise again in the future. The key to your success to improve the quality of your life and to achieve the outcomes of this program starts with how you look at anxiety, phobias and panic attacks…. Anxiety, phobias and panic attacks are the result of living in fear or constantly worrying about what may or may not happen. Fear builds up often from something in our past that we link to the future. We look at the future from the view point of the past and live in fear that an event from the past will happen again, making the future something you fear leading to severe stress, anxiety and panic attacks. Fear and stress is a natural self-preserving human reaction to a life threatening danger, but excess fear and chronic stress is not natural. What typically happens to people suffering from recurring anxiety attacks is that when they can’t find identifiable stressors to rationalise their anxiety, they begin to turn it inward – the brain invents the explanation that they must be going crazy, but this is not the case. It is important to understand the physical relationship of what is occurring in your body in order to learn to manage it effectively, and not get too consumed about thinking you are crazy, instead you need to focus on gaining control of your thoughts, your emotional state and your physical body. The medical system is quick to label the problem and medicate for the symptoms, but this does not address the causes, nor does it offer any practical coping strategies to manage the problems! Then you become fearful and anxious in stopping the medication because you know nothing has changed, so why would you feel any different right?…and so the cycle continues with medication! So to treat anxiety without medication the key is to address the causes; identify the underlying patterns behind your fears and the triggers to your anxiety, whilst teaching you the tools to alleviate the debilitating physical symptoms associated with such conditions if they do arise. Identify the core psychological patterns (the underlying causes) and triggers that are keeping you in the grips of fear. Initially we will work with your conscious mind to increase your levels of self-awareness, and teach you transformational tools to change your thoughts, emotions, and behaviours to get you out of the fear cycle. Then we will work with your unconscious mind directly, using powerful techniques like Hypnotherapy, Emotional Freedom Techniques (EFT) and Neuro Linguistic Programming (NLP). It is your unconscious mind that determines how you feel, and also how you behave, and inner conflict occurs when your unconscious mind is not aligned with the desires of your conscious mind. By the end of your 8 week program you will be able to move forward in life, without living in constant fear! We have helped hundreds of people who have been suffering from the debilitating physical symptoms associated with anxiety, phobias and panic attacks without medication. We are so confident that you will find this program life-changing, that we offer a full 100% money back guarantee! If at the end of the program you still suffer from anxiety, phobias or panic attacks and you don’t feel that you have the tools to manage it, then we will refund your money in full. CHECK OUT OTHER PSYCHOLOGY & LIFE COACHING PROGRAMS!